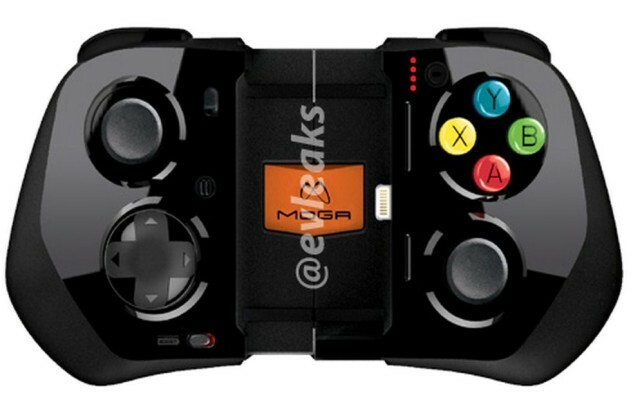 MOGA’s new gamepad for iPhone has been leaked ahead of its official debut, and I think you’ll agree that it looks pretty incredible. The device follows Apple’s guidelines for game controllers designed for iOS 7 — so it has all of the buttons that will soon become standard for iOS gamepads — as well as a built-in battery and a nifty design that closes up for portability. While gamepads designed for iOS devices are nothing new, you can expect them to really take off over the coming months. iOS 7 introduces proper support for game controllers for the first time, so accessory makers can now follow a standard set of guidelines to create solutions that will work with all iOS games with controller support — not just a few from certain developers who decide to support certain products. Not only will this mean better controllers, but it should mean that they become more popular, too, and in turn that game developers will provide better support for them. It looks a little like an Xbox gamepad, featuring two analog sticks, four action buttons, top-mounted triggers, and a d-pad. It also has a built-in 1,800mAh battery that will let you game on the go and top up your iPhone at the same time, and an awesome design that closes up when it’s not in use — as you can see in the picture below. It’s unclear when the Ace Power will be available, but hopefully MOGA won’t keep us waiting too long.